inspire and you can´t get enough of it." Do you want to build up an art collection or expand your existing works sensitively and professionally? Are you looking for a work of art for your living room or office? Whether in Barcelona, Paris, Berlin or Munich - vogelARTconsulting helps, advises and finds solutions. With passion and love. And with international partners. A first purchase or expansion of an existing collection - we would like to advise you personally, come to them and introduce them to artists and their work. We work with an international network of artists, curators and gallery owners. 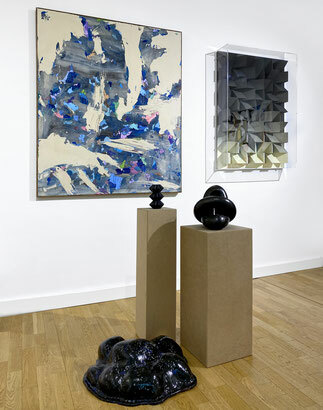 We present the work in their rooms, organize a private studio visit to the final purchase. 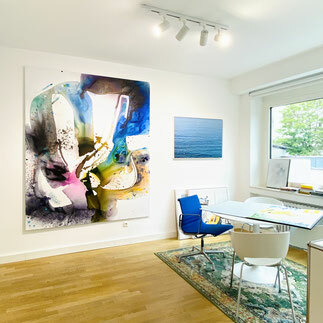 Do you want to acquire an artwork or editions for your company? We also work in corporate art, advise and organize the right works of art for the respective company from hotel lobby to single office. From the first idea about their realization to the development of a company art collection. Sie wollen eine Kunstsammlung aufbauen oder die bestehenden Werke sensibel und gleichermaßen professionell erweitern? Sie suchen ein Kunstwerk für Ihr Wohnzimmer oder für Ihr Büro? Egal, ob in Barcelona, Paris, Berlin oder München – vogelARTconsulting hilft, berät und findet Lösungen. Mit Leidenschaft und Liebe. Und mit internationalen Partnern. Ob erster Ankauf oder Ausbau einer bestehenden Sammlung – wir beraten sie gern persönlich, kommen zu ihnen, schauen was zu ihnen passt und stellen ihnen im zweiten Step Künstler und deren Arbeiten vor. Wir arbeiten mit einen internationalen Netzwerk von Künstlern, Kuratoren und Galeristen. Wir präsentieren Ihnen in ihren Räumlichkeiten die Arbeiten, organisieren ggf. einen privaten Atelierbesuch bis zum finalen Kauf. Sie wollen für Ihr Unternehmen Kunstwerke oder Editionen erwerben? Wir arbeiten auch im Bereich Corporate Art unterstützen, beraten und organisieren die richtigen Kunstwerke für das jeweilige Unternehmen von Hotel-Lobby bis Einzelbüro. Und von der ersten Idee über deren Realisierung bis hin zum Aufbau einer Firmensammlung. If you are looking for a flexible and easy to handle art insurance cover, visit Segurio. Segurio is the go-to online insurance which offers solutions for single items or collections with instant validation. Sind Sie auf der Suche nach einer flexiblen und einfach handhabbaren Versicherung für Kunst? Segurio bietet eine online Versicherungslösungen für Einzelwerke oder Sammlungen an, die sofort weltweit gültig ist. Feel free to contact us if you any comments, requests or questions - or if you are a company, publisher or gallery and would like to collaborate with VogelART.